We are getting closer to release of the next Tom Clancy game. Today we have The Division 2 launch trailer to enjoy. Plus all the details you need ahead of release on the PS4, Xbox One and PC. Brought to you by Ubisoft, this online-shooter meets action-RPG game aims to take the original game to the next level. The Division certainly had it’s good parts, but it wasn’t everything it potentially could have been. Will the sequel turn out even better or more of the same? The Division 2 will release on the 15th March 2019 and it’s looking like it’s going to take the series forward. Check out the trailer and scroll down for all the info on The Division 2 you’ll need below. In The Division 2 you are the key to save the nation. You are the last line of defence and your actions pave the path you take. History will remember the heroes who rose when all else failed. True Sons: A paramilitary force that relies on combat expertise and overwhelming firepower to dominate their enemies and expand their territory. Smart and organised, the True Sons are led by a former JTF officer whose ruthlessness and cunning make him a dangerous adversary. Hyenas: A loosely organised gang of opportunistic raiders that prey on struggling civilian encampments through violence and intimidation. These hedonistic scavengers take everything they can steal and destroy everything else to deprive their enemies of valuable resources. The Hyenas are led by a council of the strongest pack leaders. Outcasts: Bitter survivors of a forced quarantine bent on revenge against those who brutally imprisoned them and the society that stood by and let it happen. Their charismatic, bloodthirsty leader believes everyone is complicit and urges her followers to punish the guilty by spreading sickness and murdering indiscriminately. Seven months have passed since a deadly virus hit New York City and the rest of the world, crippling the population. When the virus hit, The Division, a unit of civilian sleeper agents, was activated as the last line of defence. Since then, Division agents have been fighting relentlessly to save what remains. For The Division, the stakes are higher than ever. Washington, D.C. – the most heavily protected city on earth – is at risk, leaving the entire nation on the brink of collapse. If Washington, D.C., is lost, then the nation falls. As a Division agent who has been in the field for seven months, you and your team are the last hope to stop the fall of society after the pandemic collapse. 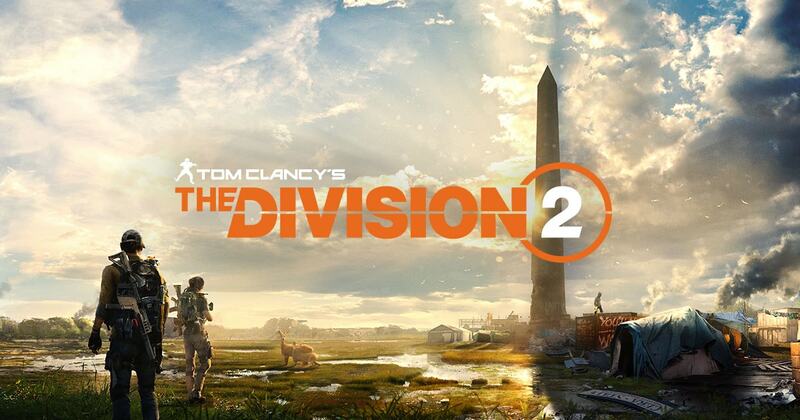 Developed by Ubisoft Massive, and the same teams that brought you Tom Clancy’s The Division, Tom Clancy’s The Division 2 is an online open world, action shooter RPG experience set in a collapsing and fractured Washington, D.C. This rich new setting combines a wide variety of beautiful, iconic, and realistic environments where the player will experience the series’ trademark for authenticity in world building, rich RPG systems, and fast-paced action like never before. Play solo or co-op with a team of up to four players to complete a wide range of activities, from the main campaign and adversarial PvP matches to the Dark Zone – where anything can happen. In the wake of the virus, storms, flooding, and subsequent chaos have radically transformed Washington, D.C. Explore a living open world full of diverse environments, from flooded urban areas to historic sites and landmarks, during one of the hottest summers in history. The streets have been overrun with enemy factions, each with its own agenda, and each vying for control of the capital. It will be up to you to liberate the city and protect what remains of society. The Division 2 was built with an “endgame-first” mentality, ensuring players always have access to fresh, unique, and diverse activities long after completing the main campaign. The Division 2’s endgame will introduce brand new challenges and progression systems, unique twists and surprises, and for the first time, raids. Players will also be able to access a wealth of post-launch content, including a full year of free additional story-driven missions, map expansions, and gameplay modes. Each specialization will open up an entire new progression system, with new skills, mods, and unique talents to acquire and maximize your agent’s efficiency in your chosen role. Civilians and enemy factions are constantly striving to survive, vying for necessities such as food, medicine, and ammunition. As the factions face off against each other in a ravaged city, they will fight to seize control of resources and locations – and for their very survival. The various needs and motivations of each faction will collide, triggering different encounters between enemy and friendly factions, civilians, and ultimately you as an Agent, creating a dynamic living world full of surprises. Civilians have banded together in settlements to rebuild their society, but their very existence is threatened. Work closely with them to keep them safe and, in turn, they will come to your aid and provide supplies and assistance to build up your base of operations, giving a deeper meaning to the people and the world around you. The Dark Zone is an untamed area of the map with some of the best loot in the game. The Dark Zone is also the most dangerous area in the game, where fear, betrayal, and tension are high, as any other agent can turn against you and steal your hard-earned loot. In The Division 2, this playground was designed to provide a fair and exciting experience to all players, regardless of their level of progression.